I know you have seen the pictures flying around the internet with shapes inside of a cake. They are super cute and actually they are pretty easy to make if you know the secret. We decided to give it a whirl for Easter and the end result was success!!! Read on to see just how easy it is to make a shape inside of a cake. We used a simple pound cake recipe and found that it held together the best. Remember that you can put any shape inside of a cake so it will work well for any Holiday or special occasion. Several droplets of pink food coloring. -This may take 1 to 7 minutes. -Add eggs, 1 at a time, beating just until yellow yolk disappears. -Next, add your flour to the creamed mixture. First the flour follow with your milk. 1 C of flour to 1/4 C of milk ending with your last C of flour. -Beat at a low speed after each addition. -If lumps remain gently stir with a rubber spatula. -Gently stir in the extracts. -Divide your prepared batter in half. -Add a few drops of pink food coloring to one half. 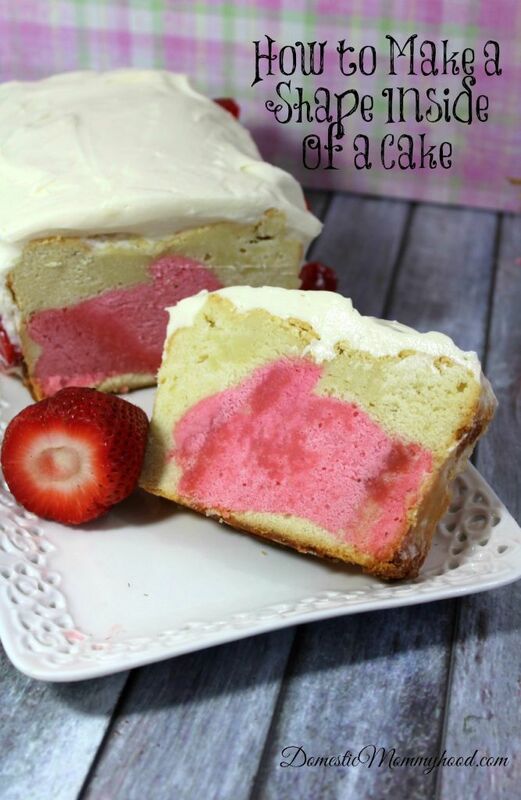 -Blend in the pink food coloring to ensure even coloring throughout the batter. -Treat a medium size cookie sheet. 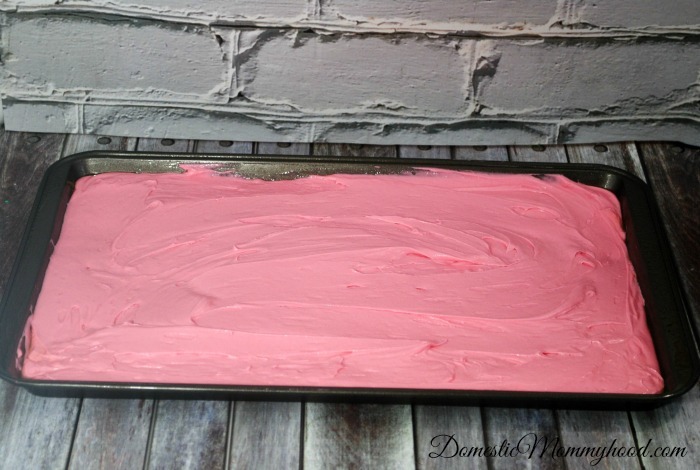 -Pour/spoon the pink tinted batter unto the prepared cookie sheet. -Bake your batter on the cookie sheet for 1 hr. -Test it with a toothpick to ensure that it is done. -Set this aside to cool. -Measure that your bunny cookie cutter fits within your loaf pan for height and width. 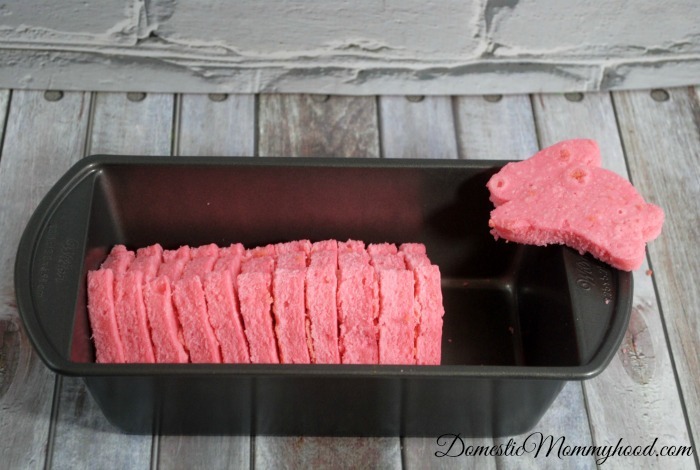 -After your pink batter has cooled use your bunny cookie cutter to make your bunnies for your loaf pan. 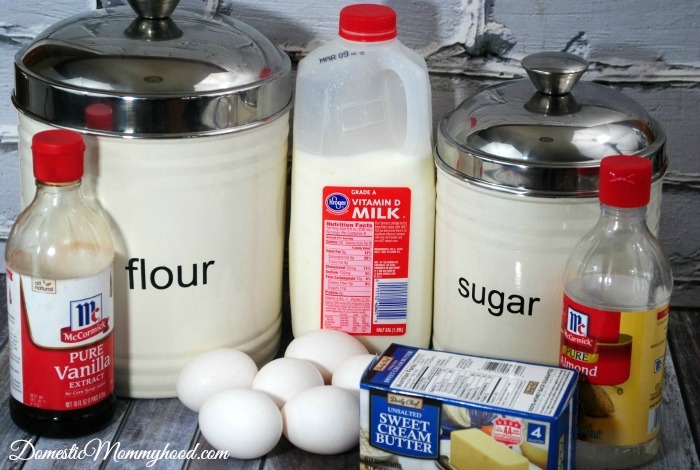 -Treat your loaf pan with baking spray or grease and flour. -Now pour about 1/3 of your batter into the bottom of your loaf pan. -Gently stand your bunnies in the middle of the loaf pan. Hold them steady until they will stand on their own. 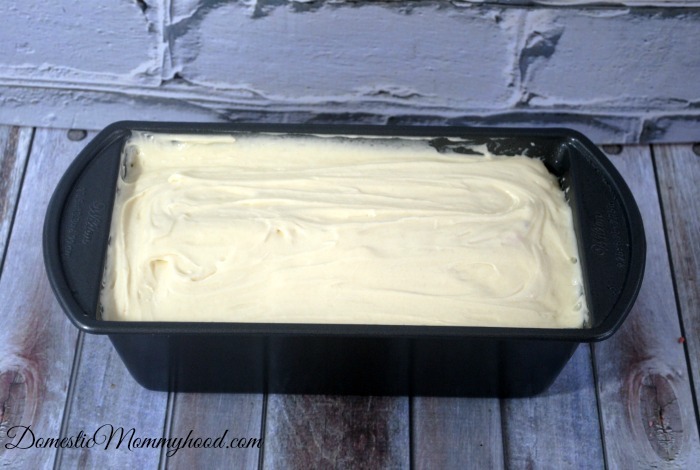 – Gently fill the sides of the pan by spooning the batter into the pan. -After the sides are filled gently spoon additional batter on top of your bunnies. -Continue to spoon additional batter on top until it is even. -Bake at 300 degrees for 1 hr and 40 min. -Check to ensure that your loaf is done by inserting a toothpick. If it comes out clean then your p0und cake is done. -Cool on rack for 10-15 minutes. -If it is difficult to remove run your knife between the edges of the cake and pan to loosen. -Cool on your wire rack until completely cooled.